The amount of water you have in your body will affect your weight. Fluctuations in water can cause the number on the scale to go up or down ten or more pounds on a given day. If you’re dehydrated, you will weigh less than when you’re hydrated. As mentioned above, an intense workout can cause fluctuations in your electrolyte levels causing water losses, while foods high in salt can cause water retention. Heavy coffee drinker? Coffee is dehydrating, as is alcohol. 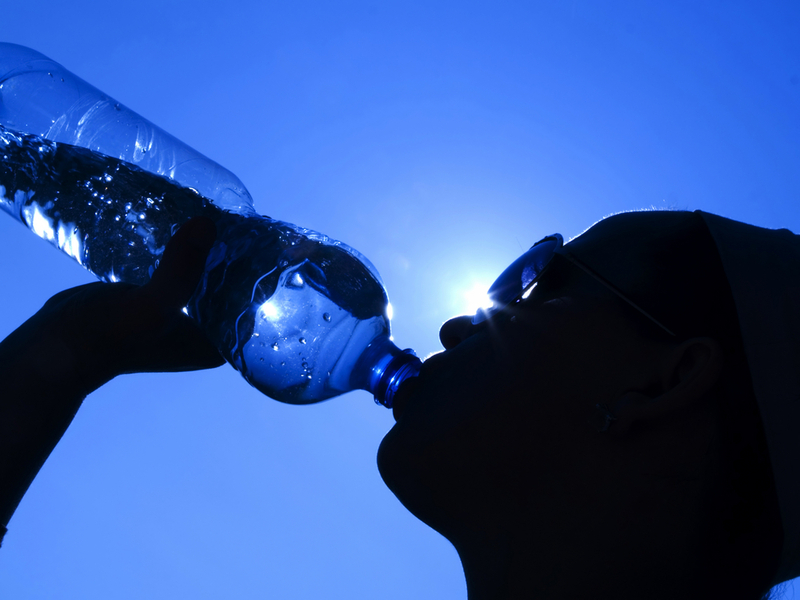 Drink plenty of water to keep your body hydrated and your weight regulated. Source: This information comes to you from me (Martha) in brief from an article I read in Fitness RX magazine by Lauren Jacobsen. See the whole article here.